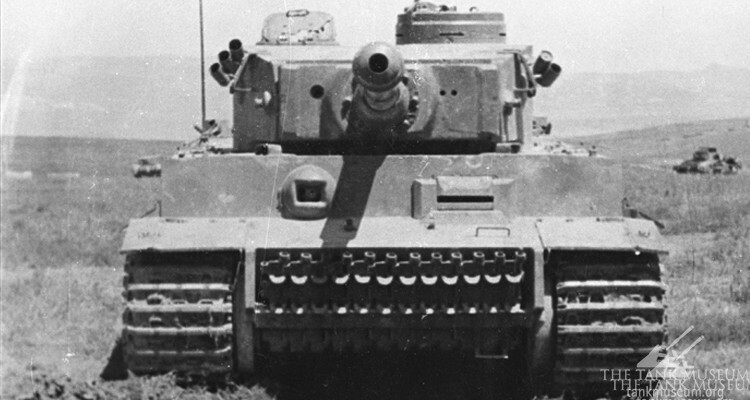 NEW CHAPTER IN STORY OF TIGER 131: 5/6 -WHAT SHOT TIGER 131? 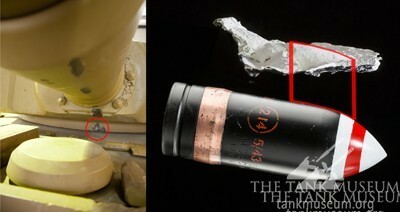 Left shows the underside of Tiger 131’s gun barrell. Circled is the spot the sample was taken. The impression is shown in profile on the right. Also shown is a 6 pdr round, and higlighted is the curvature of the round at the angle it would have struck the tank. 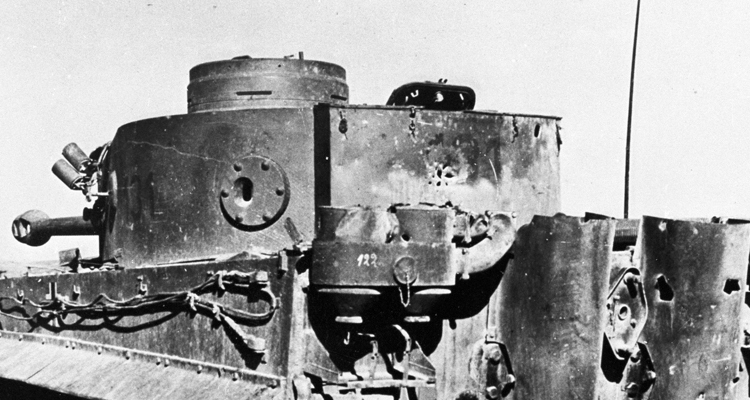 Images from the time show that the loaders hatch had been smashed and that a round had punched in the armour plate above the driver’s compartment. Both of these were repaired with spare parts Lidderdale had salvaged from the battlefield. But two other scars remain. One to the left turret lifting lug as a round bounced off and the other – perhaps the most significant – is the famous round that scraped the bottom of the barrel before wedging itself in the turret turning mechanism. Whilst the other strikes may have wounded and spooked the crew, it has always been felt that the round that jammed the turret was the final straw as it rendered the tank unable to fight. It is also likely to have been the same shot that stove in the armour above the drivers compartment. 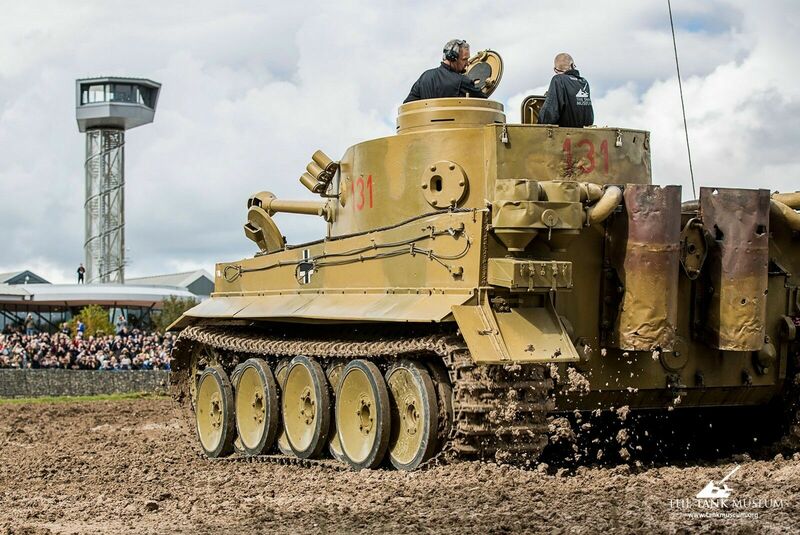 If The Tank Museum could determine the calibre of this shot from the surviving scars, it would help determine how Tiger 131 was knocked out. 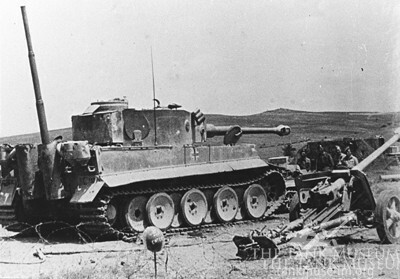 John Oscroft’s account recalled his comrades turning a French field gun abandoned by the Germans on the Tiger. The Daily Sketch reported that it was knocked out by ‘our gunners’ using a captured ‘German anti-tank gun’. 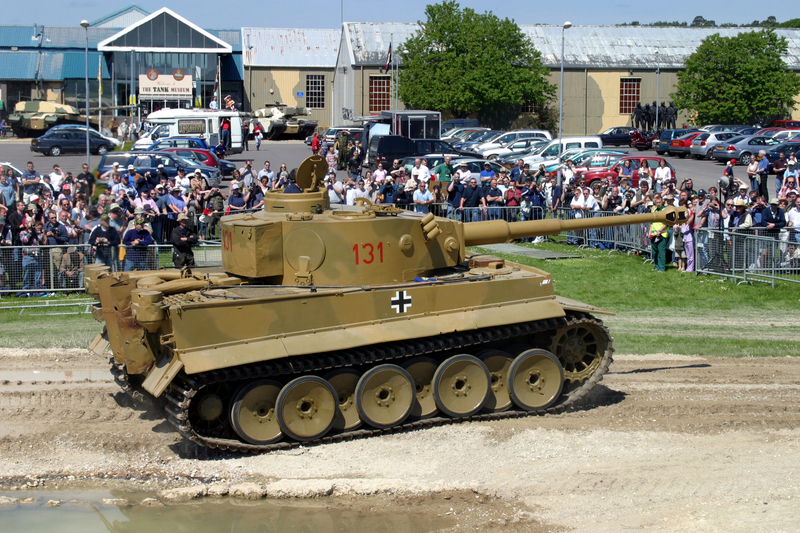 We also know that Churchill tanks from 48 RTR engaged Tiger tanks. The Germans used captured French guns in Europe and North Africa. The French had converted their old 75’s for use as anti-tank guns before the Second World War began. The Germans would have also used their own anti-tank guns. 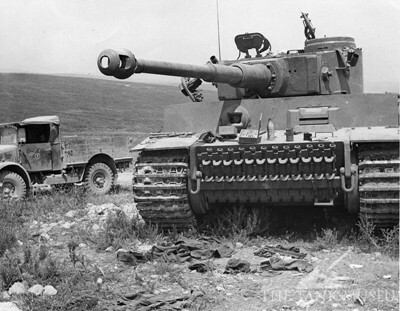 Tantalisingly, Tiger 131 was photographed next to a captured Pak 38 after its capture. 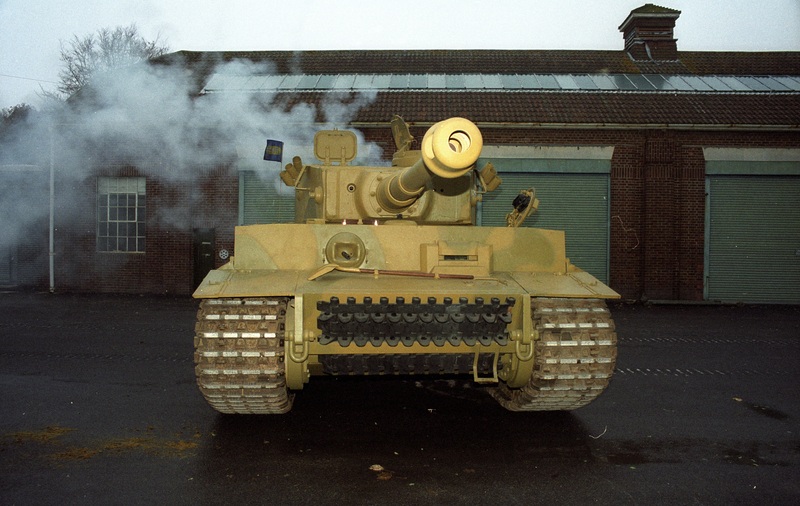 But each of these guns fire shells of a different size, and by applying a quick drying paste to the strike marks on the bottom of the Tiger barrel and mantlet, The Tank Museum has been able to make a mould to determine the calibre of round that struck it. 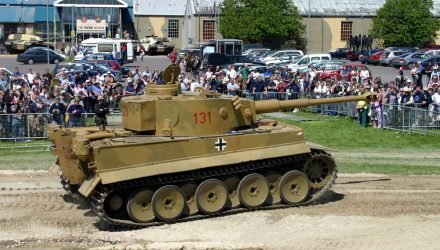 The results leave little doubt in the mind of The Tank Museum that Tiger 131 was hit by a 6 pounder round as fired by a Churchill tank. and Part IV on the 48th RTR at Point 174.